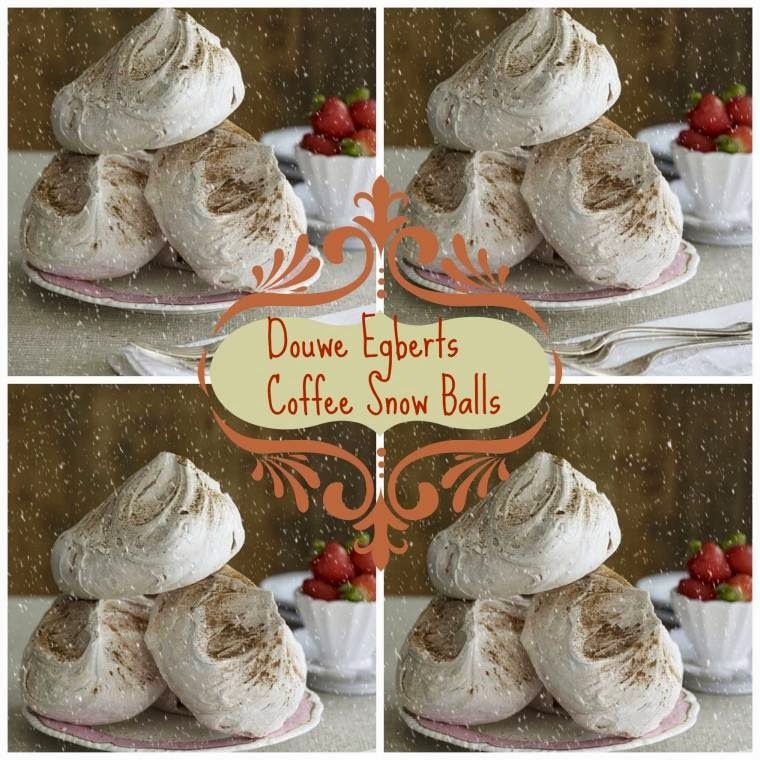 Douwe Egberts Coffee Snow Balls. Great for a coffee lover. Plus topping of your choice. Strawberries and cream? In a grease-free mixing bowl using an electric whisk, whisk up the egg whites until the mixture stands in stiff glossy peaks. Gradually fold in the sugars and salt a table spoon at the time. Continue whisking until very stiff and shiny. Fold the coffee into the meringue to give a marbled effect, Using two spoons make either 2 or 3 even sized meringues and sprinkle over nuts if using. Bake in the oven 110C or gas mark 1/4 for 2- 3 hours until crisp and firm, (the longer you cook them the crispier they will be in the centre) but still white in colour. 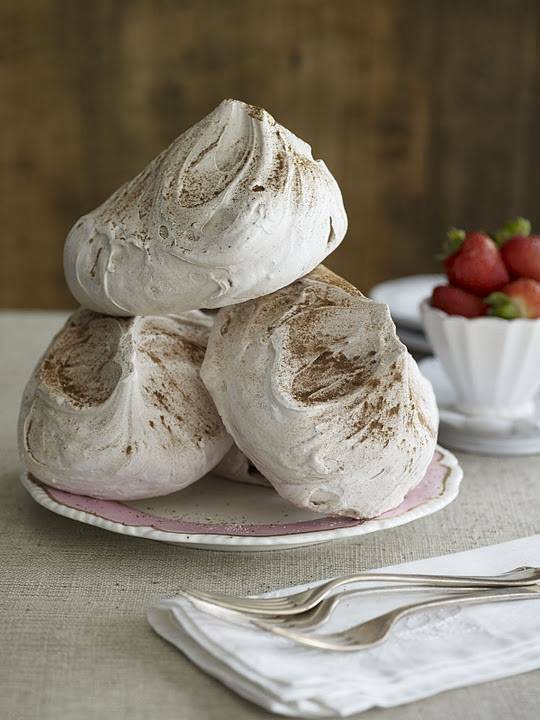 Peel off the parchment paper and serve, Store the cooked meringues in an air tight-box. 11 Coffee Recipes For International Coffee Day. A yummy treat for Saturday night. Or any night of the week really! Give this favourite tipple a makeover by serving it chilled! This recipe would be great to serve at any Christmas parties. Ground coffee, sugar, Whiskey and double cream, how tasty!? Yum, yum! How To Make Iced Gaelic Coffee: Coffee And Irish Whisky. Coffee Lovers Christmas Gift Guide.